We were already able to produce a list of country-inspired rooms on the living rooms and the bedrooms; we wouldn’t want to miss out on sharing with you another list of kitchen ideas that is related to the ones listed above. It wouldn’t be complete, right? A friend of ours is redecorating her home to something country; that was the main reason why we thought of creating lists to give her additional ideas as to how she would redecorate. Well, she has been looking around already, but it wouldn’t really hurt to give her more options, right? As we discussed on the other lists – country inspired living is always simple and homey. It is the basic requirements for a home to be classified as country. Well, the use of wood as the major construction material is second. If you may have observed, wood is always in the picture – from cabinets, drawers, and others. 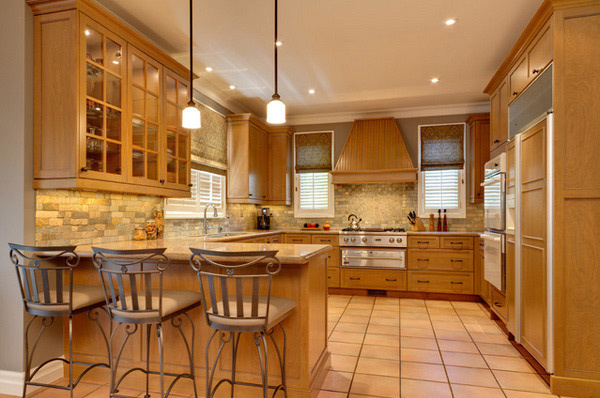 Today, we will be showing you a list of kitchen ideas that showcase another form of country. Most of the pictures will actually be modern in concept, but still country in style. Take a look at 15 Lovely and Warm Country Styled Kitchen Ideas! We usually associate country living to simple living – but looking at this kitchen design, country living can also be as glamorous as this! 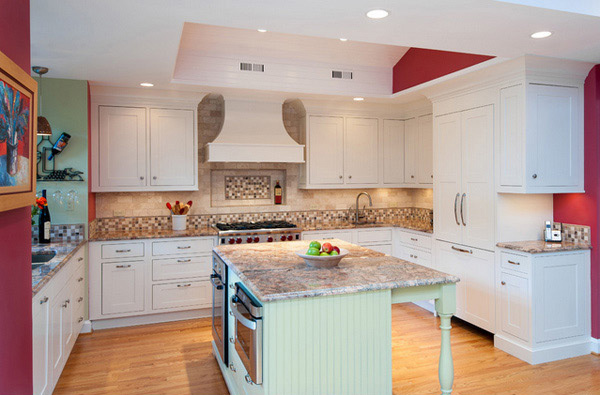 Red kitchen designs always entice home owners! Looking at this design, who wouldn’t love it, right? 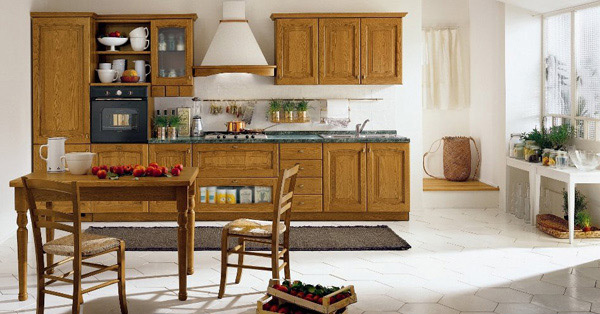 Wooden modular kitchen design that you can definitely get for yourselves! We love how the room looks so classic but at the same time modern-ish. 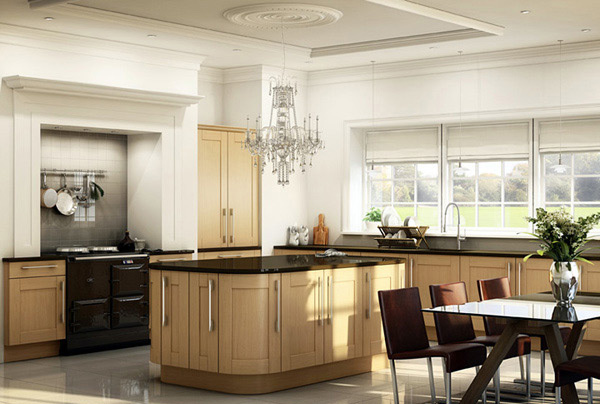 With the name itself, this kitchen showcases elegance in all its form! 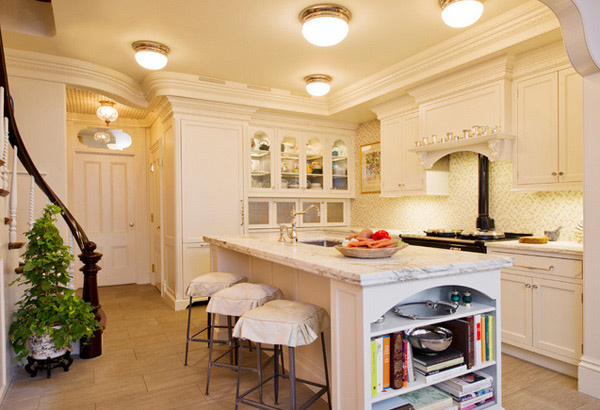 Kudos to the designer who made this kitchen as pretty as this! 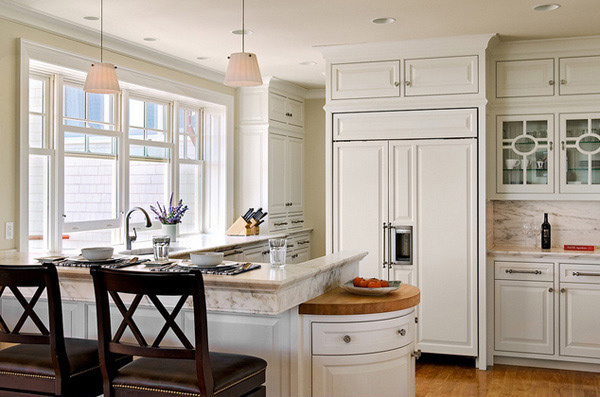 Classy white kitchen may always be considered the best choice for our homes! Look at how rich, pretty and at the same time simple this kitchen is! 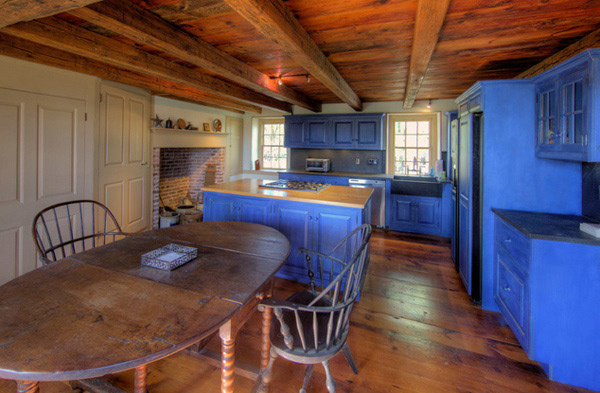 Bluer than blue kitchens can never look as homey as this! Simple, one of a kind and surely a stand out for this home! 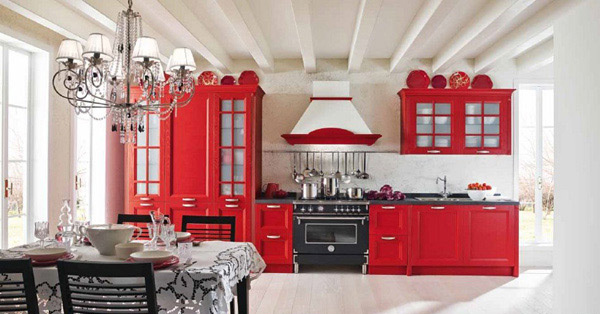 White kitchen accented with red walls! Classy and sophisticated! 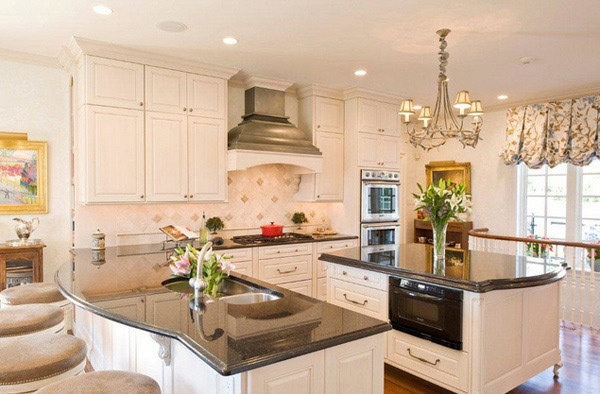 This is sure one pretty kitchen no one can say no to! 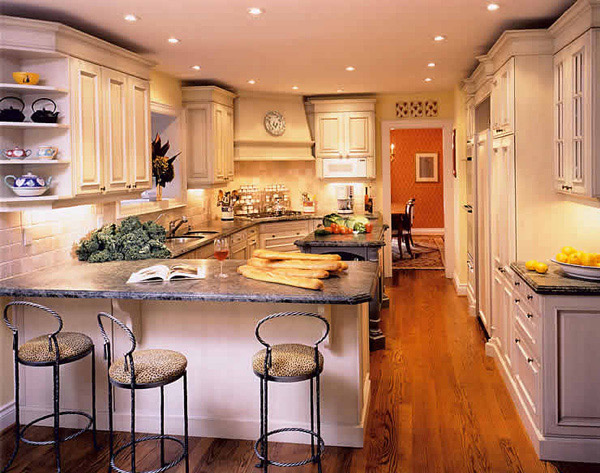 One simple kitchen that was made extraordinary by the lighting used to create an aura no one can resist! 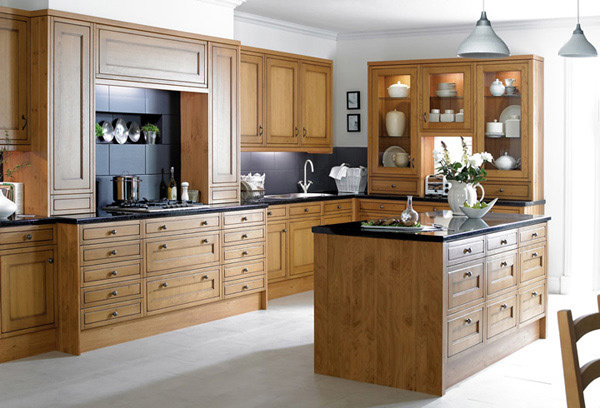 Another beauty from Davenport Kitchens! Nothing really beats simplicity in terms of beautiful kitchens such as this. A classic beauty for a classic home! 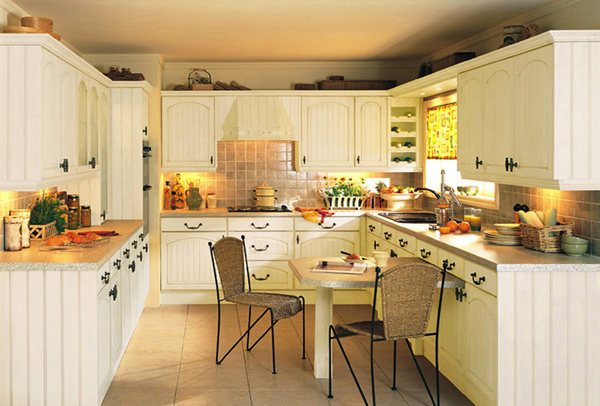 This kitchen is classy, simple and surely homey – one perfect example for a country inspired kitchen! 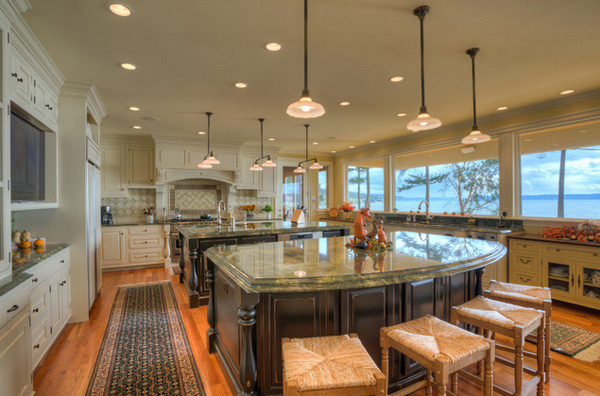 A simple kitchen made more beautiful by the chandelier above the island! The color palette is contrasting the plain white walls. 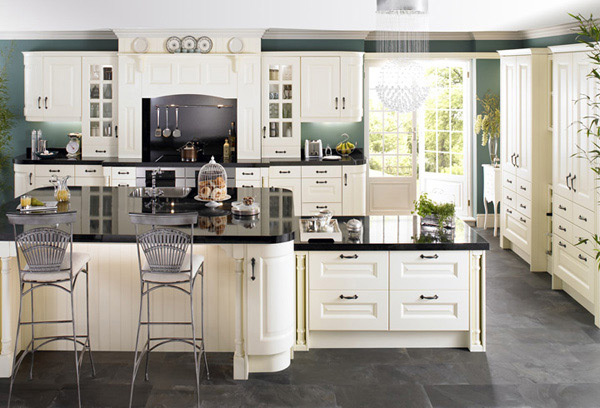 Dark wood mixed with black backsplash and granite counter-tops sure is one combination one can’t resist! Class mixed with style! Cream-colored cabinets and drawers paired with gray counter-tops and a shiny backsplash surely complemented this small kitchen design. The cute table on the side completed the look! 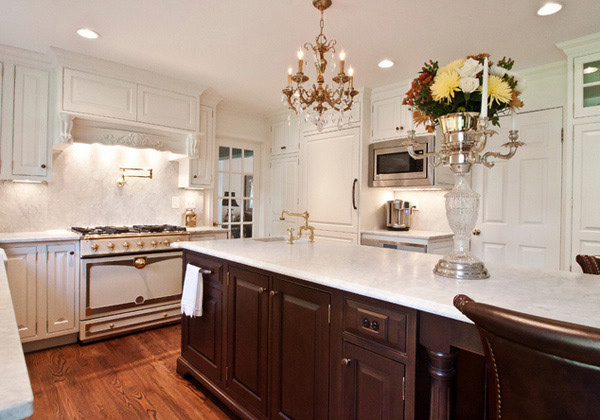 Don’t know about you, but this kitchen is a classic beauty that will surely never be out of style! Black and white colored kitchen matched with a unique pendant light, one complete deal! The combination of wood and granite is always a hit! It’s just a matter of what shades were used! This kitchen is something we could all have! And that ends our list for Country Styled Kitchen Ideas – we sure hope you liked seeing a different variation of kitchen design especially that nowadays, people prefer the modern version of everything. The examples we have shown you are only a few, try checking out our kitchen designs, and pretty much you will be able to see more! We had fun showing these photos with you and we hope that, like us, you guys will continue on exploring the world of design! See you next time one Home Design Lover!